BFF Prayer Letter #175 Excitement! Excitement starts in our hearts as we meet with God and anticipate His work in and through our lives. But joy and delight is further witnessed when we see God actually at work! Another grandchild is born! We welcome our new granddaughter, Brianna Raquel (daughter of Elias and our Christy), to our family! 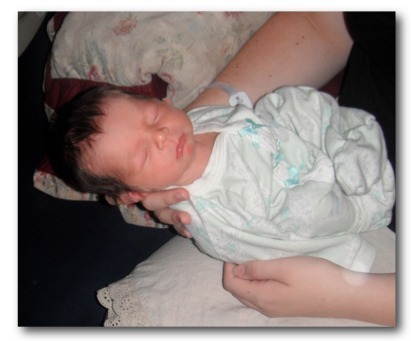 It was neat to hold her and pass her around as one by one Linda, I and our children each took a turn to hold her. How precious is new life. The past Wednesday we were encouraged to share at our old home church in Lynn, MA. This is the same church that Linda grew up in, and I was ordained in during our service in Taiwan. How special to see many old friends and even a few relatives join us at that meeting. Paul shared about the ministry and we prayed together in small groups. Praise God that we received the first donation for the September training yesterday. Only about six weeks away. Paul will travel via Singapore for three seminars. We now have 2.35% towards the funds needed. Paul tells the brothers over there to pray for him and funding. They often pray and fast together in groups. We wait upon our Heavenly Father to mightily minister to those on the other side of the world! We received an encouraging report from India and those that Paul was training via Skype. Besides a month of training in the School of Discipleship, they were actively serving. "So far 4,520 houses have been visited and Gospel tracts given, out of which 72 families responded and wanted to know more about the Lord Jesus. Eight families opened their hearts and houses to have fellowship with the Lord Jesus. Out of eleven of them, 9 will directly serve the Lord under the supervision of our house church pastors, and will be gradually added to our house church pastors list." We thank the Lord for funds for Allison's first semester at Union University. Praise the Lord for little Brianna! Translation for the Burmese handouts has begun. Thank the Lord for the first donation towards this September trip to Burma. Thank the Lord that the internet connection with India worked out well. Praise the Lord that Mercy, the wife of Bishop Makawa in Malawi recovered! Pray for the remaining 97.65% of funding to come in over the next 6 weeks and for blessing for each of the 3 day seminars. Paul will be teaching for the next two weeks at our Oakland International Fellowship Sunday Training class. He is leading others to teach the Gospel of John this fall/winter. Two of his co-teachers just got married! May God mightily use these students who graduated from the School of Discipleship in India. Sorry we cannot report further regarding Nathan (8 year-old with cancer of the eye in India). We have not heard anything more. Help for Paul as he tries to downgrade our van this month. We are thankful for the 199,500 miles on that 1992, but we are trying to get a smaller van with better gas mileage.